For the past several decades, manufacturing has been thought of as a “dirty” job reserved for countries with a cheap labor market. However, we’ve found that physically separating manufacturing and consumption of goods increases cost. A new era of manufacturing is beginning, and it starts with domestic and regionalized manufacturing that utilizes new and exciting technologies in well-manicured workspaces. As we entrust more of our tedious and dangerous tasks to these new technologies we need high-skilled labor to understand, employ and maintain them. Here are five key technologies that will change the future of manufacturing. Robots are currently being used to perform tedious, repetitive tasks and in the future, the bulk of their production will come from jobs that are difficult or dangerous for humans to perform. Some agile automotive manufacturers currently are using robots to transfer whole vehicle chassis from one assembly line to another – a task dictated by the plant layout and impossible for humans to perform. A major concern regarding robots in manufacturing is that they will displace jobs that humans are fit to perform. However, the introduction of robots creates a new demand in the marketplace. We’ll need skilled individuals to build, program and maintain these pieces of equipment. This moves labor away from physically intensive and dangerous areas of production improving working conditions overall. Traditional manufacturing methods such as injection molding and milling will always have their place but rapid prototyping methods like 3D printing have a significant advantage in their flexibility and speed. Furthermore, some parts simply cannot be made using traditional methods. 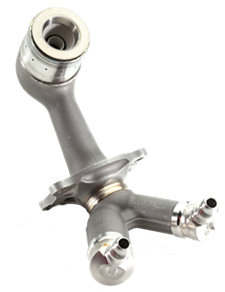 GE’s attempts to cast a new fuel injection nozzle concept for their LEAP jet engines failed eight times before they shifted their focus to 3D printing which worked exceptionally well. 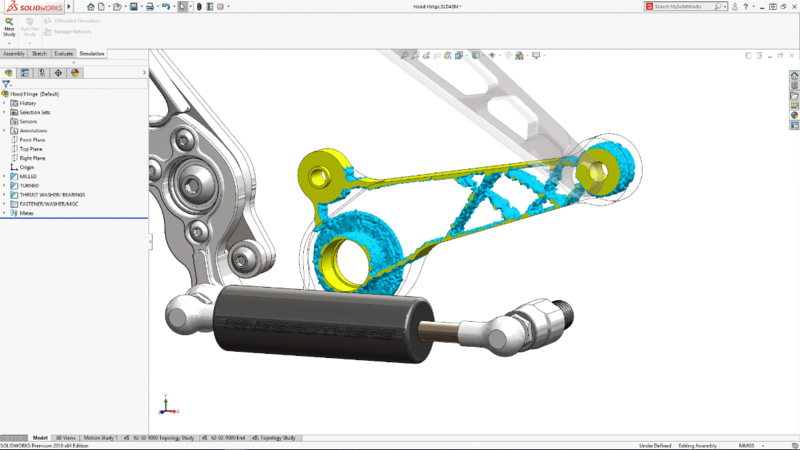 Engineers and designers outside of the aerospace industry are also looking to take advantage of strong and lightweight parts by using SOLIDWORKS’ Topology Study capabilities. This new technology creates structure in parts organically by understanding the function of the part and where stresses are concentrated. These parts can then be used as templates for engineers to design for legacy manufacturing methods, but future designs will skip this step and simply send the fully optimized part to the 3D printer. Blockchain may be one of the more abstract concepts included in this list but its function in the future of manufacturing is very important. In terms of the supply chain, you can think of blockchain much like your passport: it identifies who you are, where you’re from and where you’ve been. Blockchain technology can work to our benefit in a similar way. For example, let’s say you purchased an expensive item like a Swiss watch. If you aren’t a watch expert, how can you be certain that the watch is a legitimate original? Purchasing from a reputable retailer is a good start but you still can’t be 100% certain. However, if that watch had a virtual copy of itself on the blockchain, set by the manufacturer at the time it was commissioned, then you would have very high confidence in the origin of the watch. This would also have a secondary benefit of reducing the price as you would not require a trusted seller. 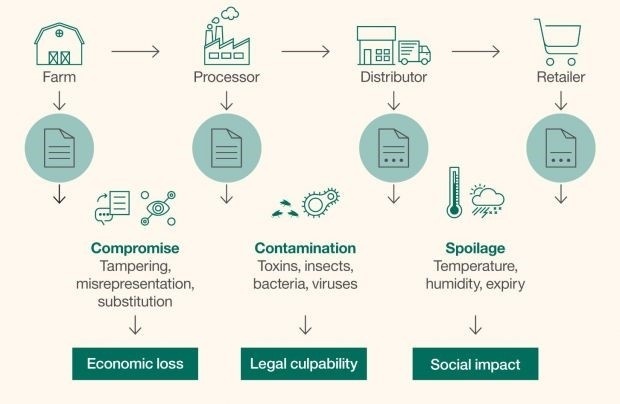 The origin of raw materials and products is a growing concern for consumers. Manufacturers that employ blockchain technologies will have a significant advantage over competitors not only invalidating raw materials but also streamlining their supply chain, thus reducing cost. Blockchain will also improve the quality of finished goods. Warranty information will be much more useful as companies will be able to determine if a particular ‘lot’ of a product is defective. This increases safety as the products can be effectively recalled if necessary. As blockchain enables a deep understanding of production before and after the manufacturing process, Smart Manufacturing will improve on-site efficiencies and productivity. New technologies like Tulip leverage data from installed sensors throughout the manufacturing process to give engineers enhanced visibility. Data is collected, measured and compared against metrics which enables quick and effective decision making. Not only does this provide an agile approach to manufacturing but it also opens the door for process improvements, cycle time reductions, and predictive maintenance models. This promotes an iterative approach to manufacturing that continually increases the quality of the products. Artificial Intelligence (AI) is a function by which computers create virtual models based on exposure to huge amounts of data without having to be explicitly programmed. The method is very similar to the “trial & error” approach that children use to make a model of the world. The main difference is that, for machines, this happens much more quickly and at an increased scale. This property of AI makes it a worthy companion to the other technologies listed above. The large datasets created by Smart Manufacturing systems will be used to inform changes to processes and equipment like robots and 3D printers. Not only to improve the quality of products but to also reduce equipment downtime by suggesting maintenance models. We’ll use blockchain technology to ensure that the AI is using reputable information – eliminating the risk of digital attacks from hackers. All downstream information from end users will also supply the AI with useful data that will be processed and distilled into a format that engineers and designers can use to iteratively improve products. All of these technologies will improve growth and productivity while also regionalizing manufacturing rather than relying on outsourcing. The efficiencies provided will increase profits while simultaneously reducing costs to consumers. Tedious, dangerous and difficult work will be offset by machines and computers that can work endlessly and consistently as long as they are programmed and maintained properly. So as our technology moves forward into the future, so do we – learning new skills to adapt to the new age of manufacturing. Want a deeper dive into these five predictions? Check out our On-Demand Webinar with our Application Engineer Wayne White.